Please use the following guidelines when using the Gecko Ranch contact form. 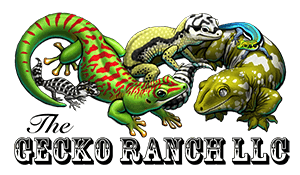 Gecko Ranch ships geckos only to the continental USA and Alaska. Dry goods (books, t-shirts, vitamins, Repashy Gecko Superfoods, etc.) export is available to countries outside the USA. See my Ordering FAQs section for complete details. Gecko shipping (12x9x6 box) in the continental USA starts at $49.50 for FedEx Priority overnight service. Ensure your e-mail address is typed in correctly to help ensure a response.